Every year, four presentations take place, each lasting three months. These will be solo or duo exhibitions of artists who are also included in the exhibition program of PARK. At each exhibition there is a public event, such as a lecture or an interview, in which the content of the work shown is central. Moreover Goirlese artists, students and interested art lovers can get involved in the exhibitions through excursions and discussions with the exhibitors. 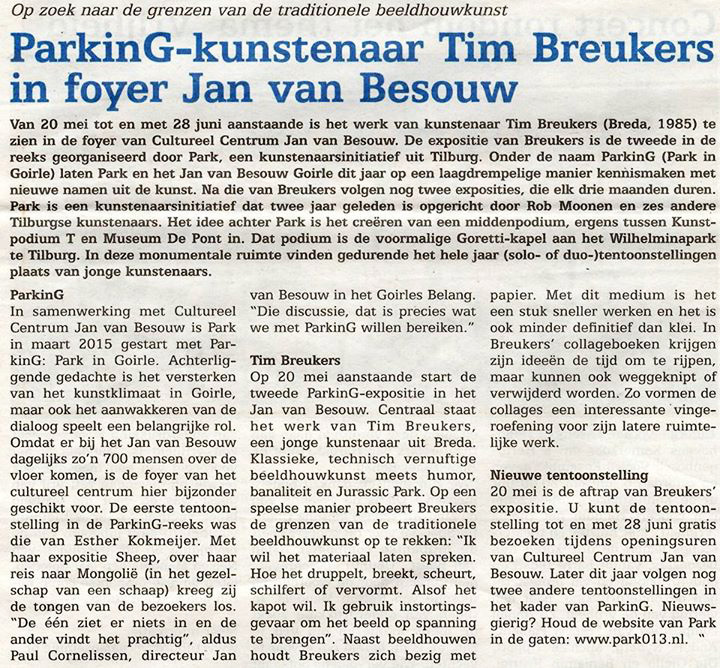 In this way Park and Jan van Besouw work together to strengthen and enliven the artistic climate in Goirle in the field of visual arts. 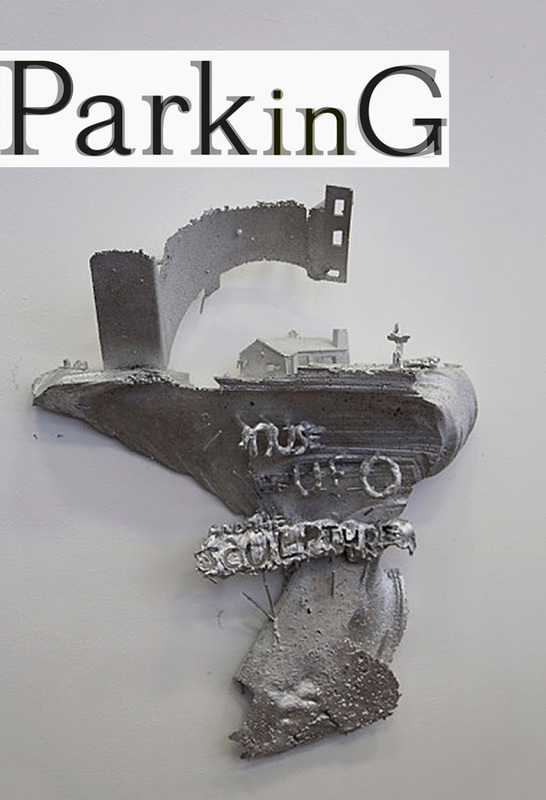 The second PARKinG exhibition in Jan van Besouw runs from May 16 onwards. The work of Tim Breukers is shown, a young artist from Breda. He studied at the ABV in Tilburg and recently finished his studies at the Rijksacademie in Amsterdam. Classic, technically ingenious sculpture meets humor, banality and Jurassic Park. Breukers tries to stretch the limits of traditional sculpture in a playful way, using elements from contemporary pop culture.